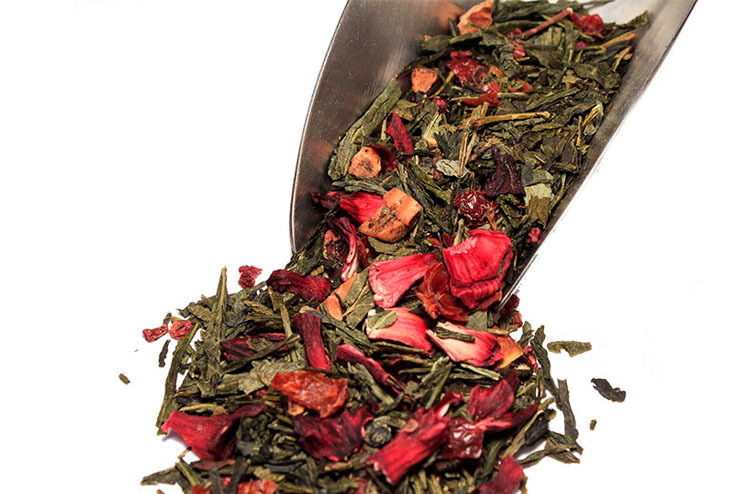 Gunpowder is a green tea from China with a thick strong taste that has been described as being like soft honey. It makes a darker green colour tea. The tea is steamed rolled by hand into very small tight nuggets and dried in large open pans over a fire. It gets its name from its distinctive leaf style which is said to resemble gunpowder shot. There is usually a smoke-like flavor to the tea and a slight copper aftertaste. Most forms of gunpowder tea have a taste reminiscent of grass although some forms may have a minty or pepper-like taste. Gunpowder tea keeps a lot longer than other green teas and is favoured because of this characteristic. When hot water is added to the tea it unfurls to reveal whole leaves floating in clear green liquor with a fresh delicate flavour. 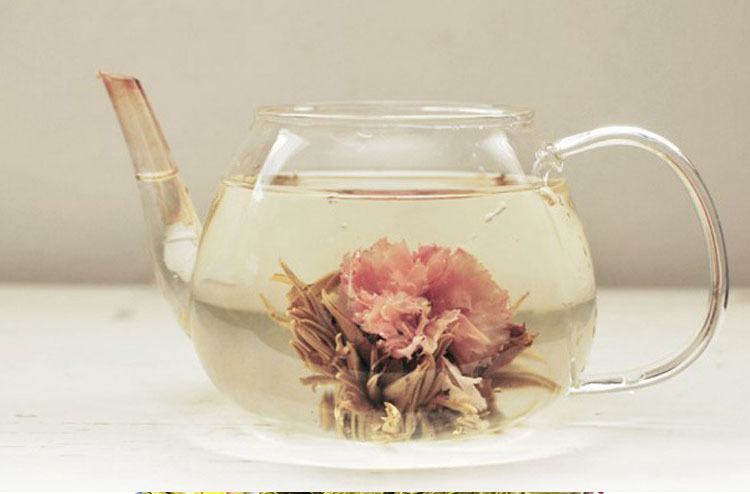 Chinese researchers have found that gunpowder tea is high in fluoride and known to reduce cavities. They say that a human body requires 1-2 milligrams of fluoride a day. Ten grams of gunpowder tea (enough to make 3 cups of strong tea) can supply this amount. Gunpowder tea has mild astringent qualities – that is it is able to draw together or constrict tissues. This makes Gunpowder Tea useful for ailments such as digestive problems and indigestion. 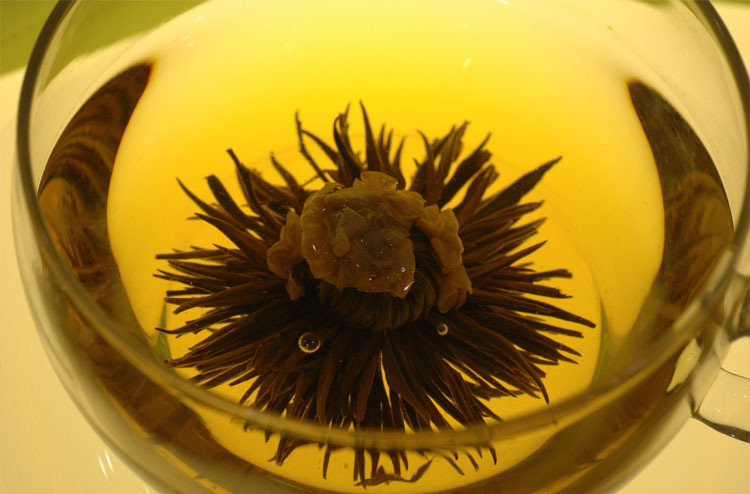 Gunpowder tea may also be referred to as pearl tea.